The great debate in Doctor Who fandom these days is between fans of "original" showrunner Russell T. Davies and his replacement, Steven Moffat. * And one of the focal points of that debate comes down to the notion that Davies was better at writing female characters. Not so fast, says one college professor. I'm afraid I must disappoint you. Suffice it to say that I don't like crass, reactionary sexism and essentializing 'humor,' and I don't like the ongoing reinscription of women's lack of agency, especially when it's a function of mawkish writing that's emotionally manipulative. Doctor Who was endemically guilty of the latter for the first five years of the revival [Davies], and has intermittently exhibited the former in spectacularly appalling and painful ways in the years since [Moffat]. I wish that this were not the case. * For what it's worth, my take on Davies vs. Moffat is increasingly that they're the same. 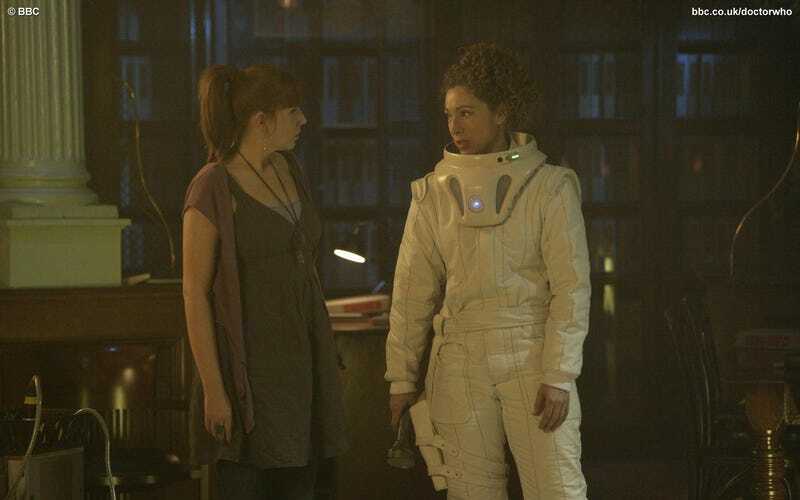 Moffat has more or less duplicated Davies' approach to the program, with a few minor tweaks and some attempts at stronger arc-based storytelling. But Davies has the benefit of having come first and thus seeming fresher. It's true that Davies is better at writing scenes where two women talk to each other, which (as the Bechdel Test reveals) is often a cornerstone of believeable female characters. But it's also true that Davies tended to turn his women into deus ex machinas and then disempower them. The reason why I think Moffat should probably leave sooner rather than later is not because he represents too much of a change from Davies — but because he's not enough of a change from Davies. After nine years, the show needs a fairly radical reinvention, of the sort it regularly received during its original run. Otherwise, it'll start to look like Supernatural and Smallville, two shows that ran for ten years and showed their age.